[REBLOG] : I am a reader. I am not your bloody editor. 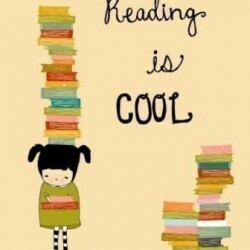 I am a reader. I am not your bloody editor. When I buy a book, when I put my money down to make a purchase, I expect a certain level of quality. I don’t care if you are self-published or represented by the big six. Editing is a fundamental necessity of publishing. There is no excuse for rushing out your work and then expecting readers like me to pay for your unfiltered and unprepared first draft. I cannot imagine the naivety or arrogance required for anyone to think it’s acceptable for readers to be treated in such a way, much less the written word itself. When a reader points out the lack of editing, that’s not bullying. That’s called criticism. They have every right to get angry about this too because they have certain expectations. Basic spell-checking and correct grammar isn’t a cute accessory to add to your story; it’s one of the foundations of your craft. If you as an author are honestly so offended by people pointing out your basic lack of care over your product then you’re probably in the wrong industry. If you pull your book to correct the mistakes then that’s a good step but you never should have published it in that state to begin with. If you were to go onto Amazon and buy one of their special deal traditionally published books like “Life of Pi” or “Gone Girl” and found it to be littered with mistakes that distracted from the basic reading experience, you wouldn’t shrug and say “Eh, it was only 99c. Big deal.” You would wonder what on earth was going on and why anyone thought this was okay or in any way professional. The title of author comes with these basic guidelines. They’re not mandatory but they are common courtesy. You don’t get to treat your readers, your customers, as your editors. That’s not a privilege I particularly wish to pay for. Reviewers do not serve you. We don’t owe you good reviews, we don’t owe you editing tips, we owe you nothing.